That's before the exhaust blurred it. Less camera time and go fix that speed bump across the road before someone hits the roof and breaks their neck. . . . your's is fine, perhaps a bit more speed will smooth out the bump. Every man for himself kind of place?? In my 'neighborhood' (when I had one) the people with vehicles would pull a a few old tires (3 at the most). Leave it at the main road and somebody coming in would hook up. No ruts and no snow-plow, today somebody on the block you live on would have access to a skid-steer and do all the driveways on the block. That neighbor is half my age, should be doing mine! You mention that to her yet?? Last edited by DaSleeper; Jan 19th, 2019 at 09:51 AM..
You didn't mention their gender, that was my way of asking. I would have just done Grannies and then asked permission, what is she going to do, call the cops?? I also would have approached the contractor to see what he would charge to all the other ones and get the money from the ones that prefer machines during heart attack season. Why aren't you put doing everyone's driveways right now? I might drive the snow eating weather away. Do you still mow the lawn after a snowfall?? You wait until March and do it all at once? Yup. It's time to video up behind the garage. Apparently I'm missing out on all the action. I woke to cops pounding on the door asking for any video of the alley. It's becoming a common knock. 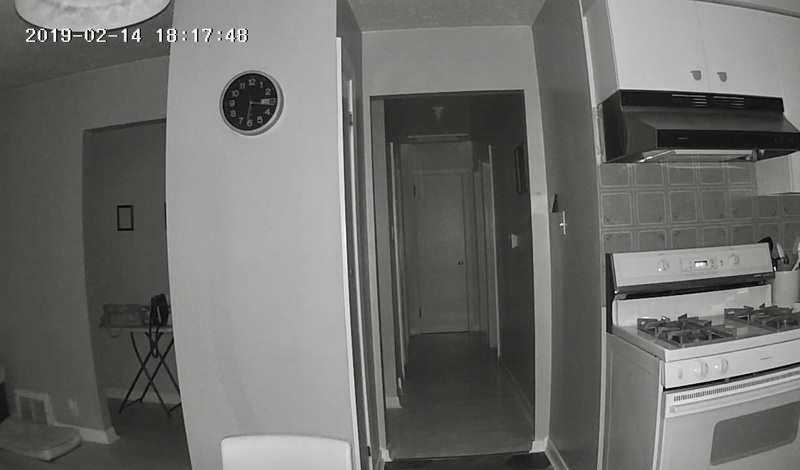 The Wyze Camera has very good night vision....I can't show you now because the camera is positioned inside filming through the window until spring and the infrared lights cause a glare in the glass so I had to turn off the night vision. Come spring,I will build a protective box for it outside. you should install one that fires bullets at the intruders. A motion sensing proggie on the lap top cam or USB cam on the PC will also do. just sit it in a relevant window if one wants to see outside.